Established in 1984, and based in Down Ampney, Cedar Loft Conversions offer a complete conversion service from design to final completion. 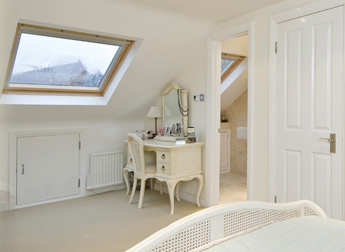 Every aspect of your loft conversion will be considered with you and your home in mind. Offering you the opportunity to really change your home or property for the better and increase it's value. A loft conversion completed by Cedar Loft Conversions will add value to your home with more space, and also the added benefit of knowing all our work is guaranteed. Areas that are covered by Cedar Loft Conversions include, Wiltshire, Gloucestershire and Oxfordshire. With every loft conversion we carry out we only use Velux Roof Windows. To find out more about Velux Roof Windows and how they can enhance your loft space, why not visit their website. Whether you are planning a loft conversion in a period or listed Cotswold property in Cirencester, Cheltenham or the surrounding villages, a Victorian house in Swindon, or Gloucester, or a modern truss roof in Stroud, Tetbury and Royal Wootton Bassett we can offer a competitive quote. 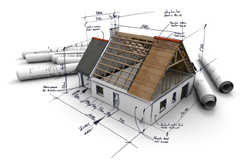 At the design and drawing stage we will consider your needs and ensure that the design for your loft conversion is exactly what you require, before any building work commences.